At our house, New Year’s Eve is a family affair! 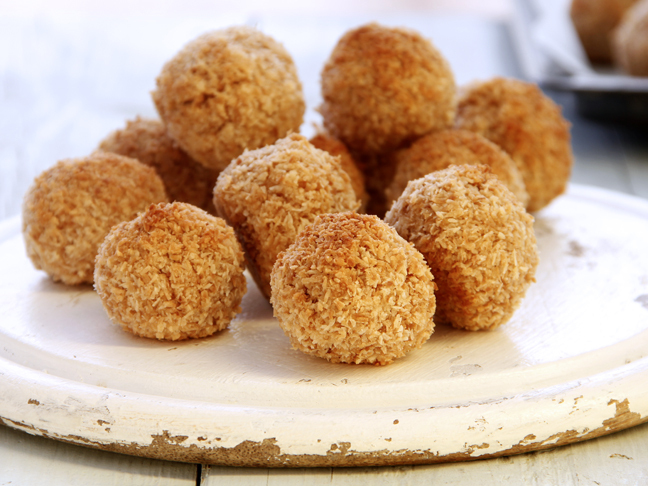 We enjoy celebrating together, playing games, and snacking right up until midnight. Kids love to stay up late and celebrate, but they need to be entertained until the big hour comes. 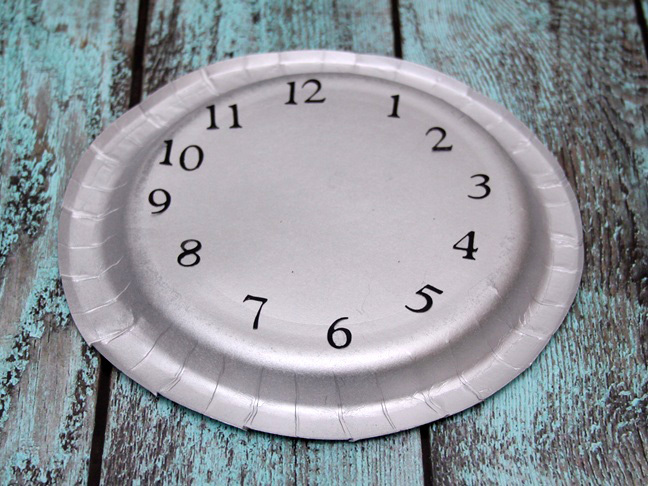 Here are just a few kid friendly New Years Eve crafts to keep them busy. 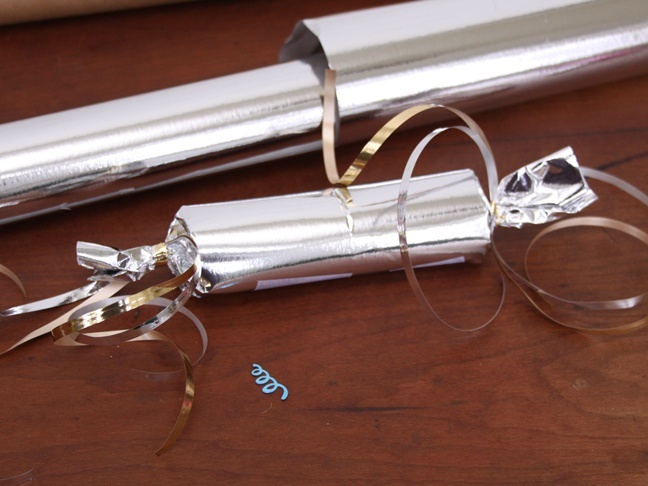 The New Year’s Eve poppers can make great noise makers for the kids. They can pop them open at midnight for an extra special treat! 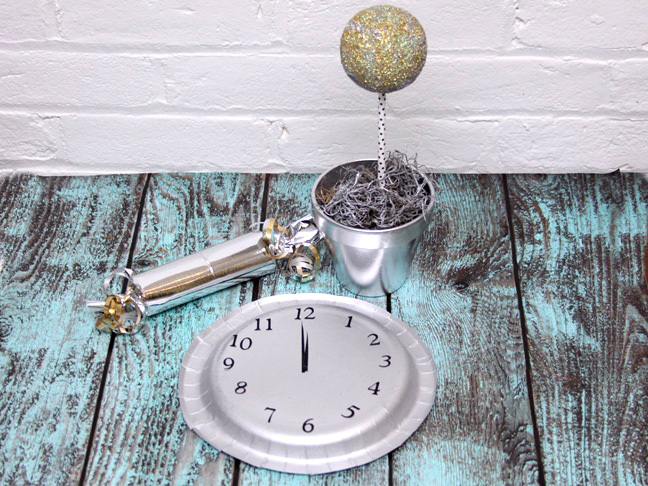 You can have the kids help you make several New Year’s clocks and New Year’s ball topiaries to decorate the house and get everyone in the mood to celebrate! 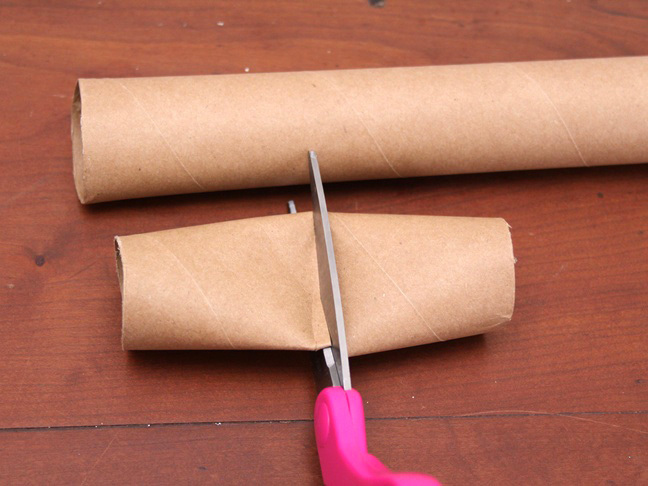 Step 1: Cut off about a 5-6 inch piece of wrapping paper tube. Step 2: Cut the piece in half. 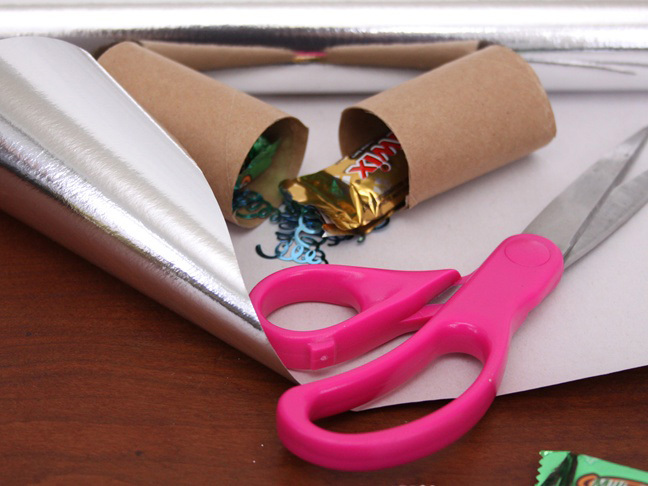 Step 3: Put candy, confetti, or small toys into the 2 cut pieces of tube, but don’t stuff them too full. Step 4: Put the 2 pieces of tube together so they’re end to end. 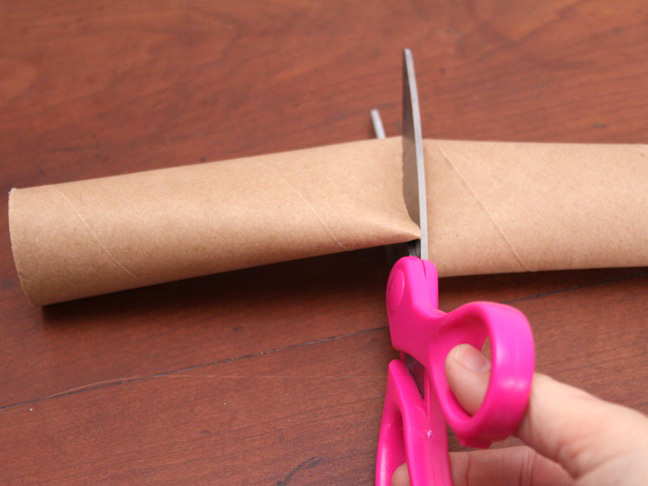 Step 5: Cut a piece of leftover wrapping paper to fit, with a little extra on the end. Foil wrapping paper works really well. Step 6: Wrap the paper around the tubes and secure it along the edge with a piece of tape. Step 7: Cut off 6-8 pieces of gold and silver metallic curling ribbon, about 24 inches long. Step 8: Tie 3-4 pieces of curling ribbon around one end of the wrapping paper on the tube. Tie the other 3-4 pieces around the other end. Step 9: Slide the blade of a pair of scissors carefully down the back of each piece of curling ribbon to curl it. 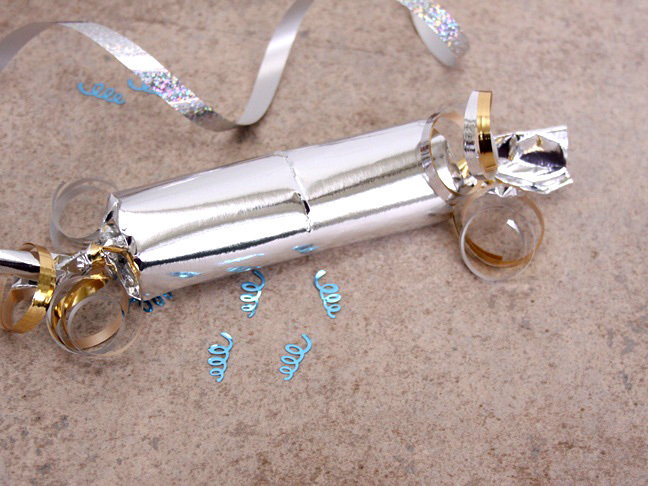 Step 10: Let the kids shake the poppers on New Years Eve, then pop them open to reveal the prizes inside. 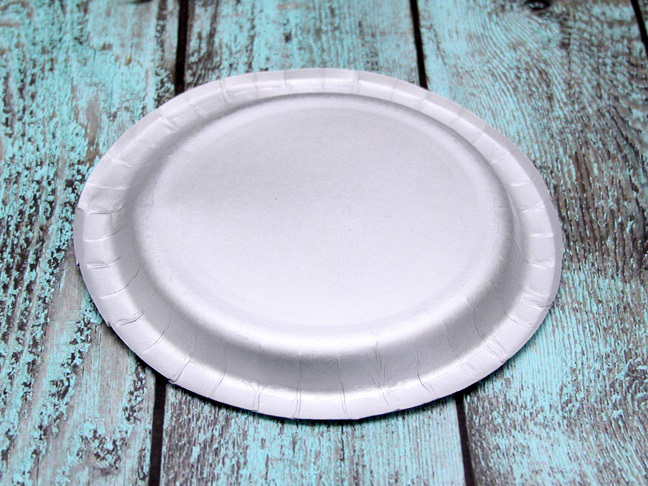 Step 11: Paint a paper plate silver or gold. Step 12: Stick black 1/2 to 3/4 inch black numbers on the clock. Start with 6 and 12, then add 3 and 9. Fill in the rest of the numbers with equal spacing. 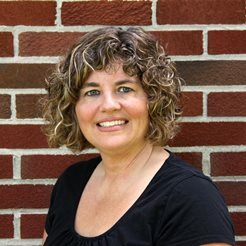 You can use stickers, die cut numbers, or trace and cut numbers using stencils. 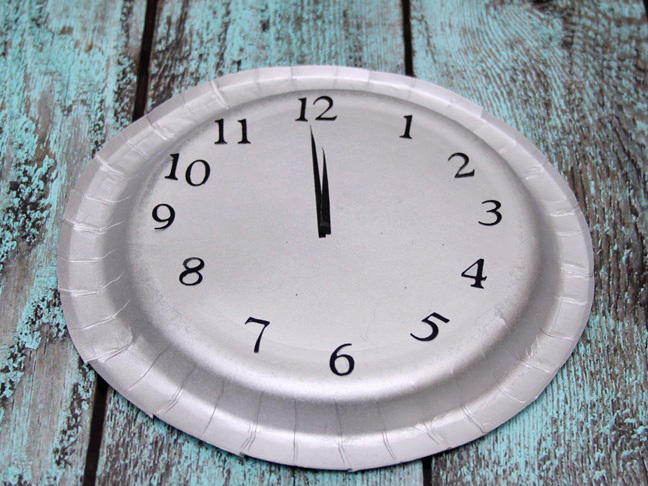 Step 13: Cut out a minute hand and a smaller hour hand from black card stock, and add them to the clock pointing at midnight. Step 14: Add a piece of floral foam to a 4 to 5 inch flower pot. Cut it to fit snugly in the pot. Step 15: Top it with sphagnum moss. 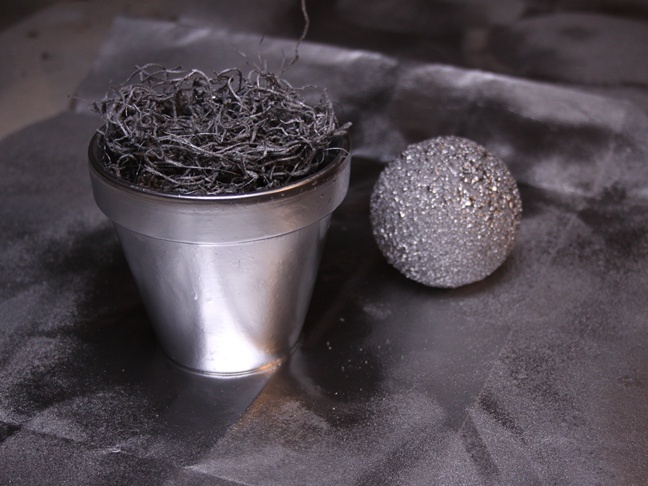 Step 16: Use silver paint or spray paint to paint the 4 to 5 inch flower pot and the sphagnum moss, along with a 3 inch foam ball silver. 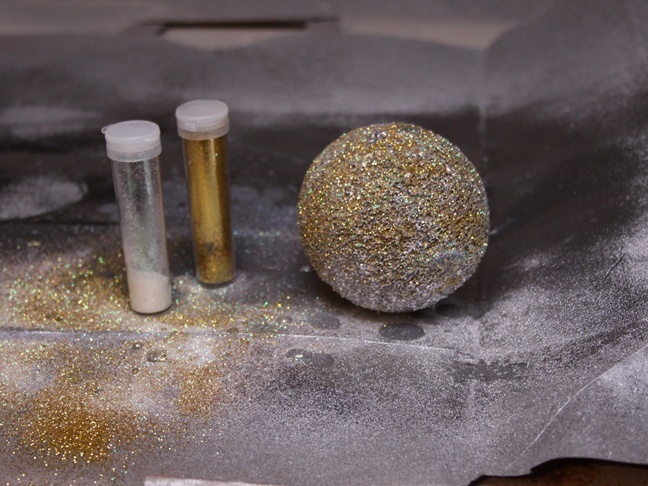 Step 16: Sprinkle the ball with silver and gold glitter then set both the flower pot and the foam ball aside to dry. Step 17: Once the paint has dried, insert a decorative straw into the bottom of the foam ball, insert the other end of the straw into the floral foam in the flower pot. 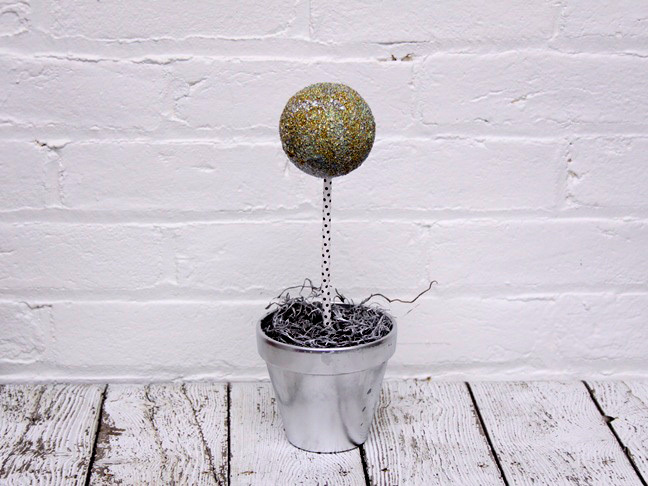 Step 18: Use the New Year’s Eve ball topiary to decorate your New Year’s Eve tables.